The Eastside Business Association was created by its Founder / CEO, Mario A. Morales in late 2005. 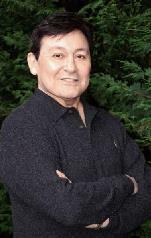 Mr. Morales started his career in non-profit management January 1982 when he joined the Burlingame Chamber of Commerce and the Burlingame Jaycees in California. Mario had completed his stint on the Burlingame Chamber Board of Director and as Chairman of the Board of the Jaycees when he moved to Kirkland WA in 1990 to help in his family’s business. Upon his arrival in Kirkland, Mario joined the Kirkland Chamber of Commerce, and was appointed the Chairman of the Ambassador’s Program for two years by the Board of Directors. After his appointment as Ambassador Chair, Mario was appointed to the Board of Directors of the Kirkland Chamber of Commerce by then President, Duane A. Lund. In 1994, Mario joined the Kirkland Chamber staff as the Membership/Marketing Director. In 1995. Mario was the finalist for “Largest Annual Chamber Membership Growth” in the United States. Mario received his accommodation from the United States Chamber of Commerce and the National Association of Membership Development. He was also the top selling Membership Director in Washington State four years in running. In 1998 Mario accepted the position as Executive Director of the Greater Seattle Business Association. He also grew their membership and revitalized several programs such as The Taste of GSBA, The GSBA Scholarship Foundation, The Annual New Years Eve Black Tie Gala at the Sorrento Hotel, restarted the Networking Breakfasts and the Prime Time Socials which reached upwards of 150 attendees per month. In 2000, Mario was voted in by the King County Council to be a commissioner with the King County Civil Rights Commission. During his time on the commission, he has and still does work on many issues such as equal rights in the work place to emergency preparedness for the elderly and physically challenged. In July, 2000 Mario graduated with honors from the Institute For Organizational Management at the University of Colorado and Colorado College (A six year Program of the US Chamber of Commerce). While there Mario’s focus was in Chamber Management, Marketing and Ethics. For six years during the summer he worked side by side with hundreds of Executive Directors of Chambers and Associations both large and small from all corners of the United States. While owning a successful nightclub in Seattle “BLU” in 2002 Mario helped out at The Life Long AIDS Alliance with their AIDS Walks. In 2002 Mario asked (Sir Ian McCallum) to help LLAA revitalize the fundraiser making the event a huge success. During this time Mario also represented the City of Seattle as Welcoming Community Leader to the visiting dignitaries such as President Bill Clinton, Vice President Al Gore and President George W. Bush in Washington State. Mario is a member of the Lake Washington School District’s General Advisory Board as well as the Kirkland Teen Building’s Advisory Board.